Well I’ve finally kicked off the 2018 blog, with entry just squeezing into January. 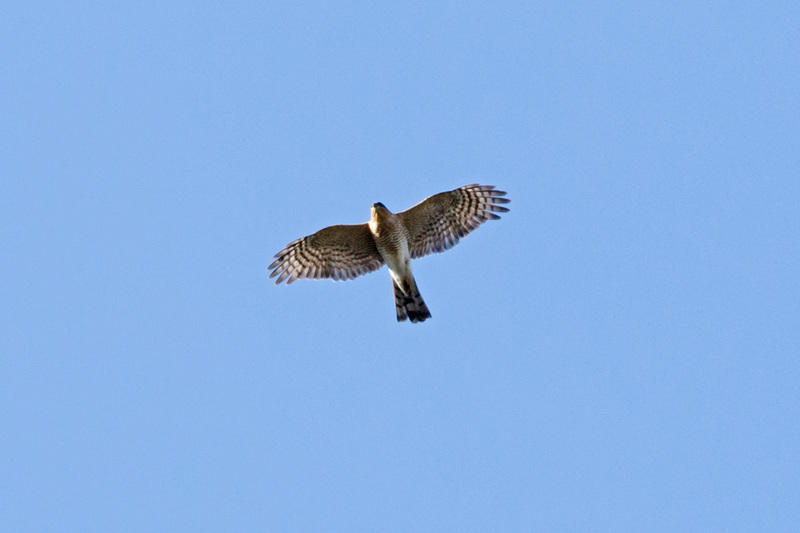 Other than the foxes I’ve not been taking too many pictures but I did get out briefly today in the sunshine. ‘Out’ being standing between some of the buildings at work, which just goes to prove that you really don’t need to go far to see wildlife. Nothing very fancy about that. 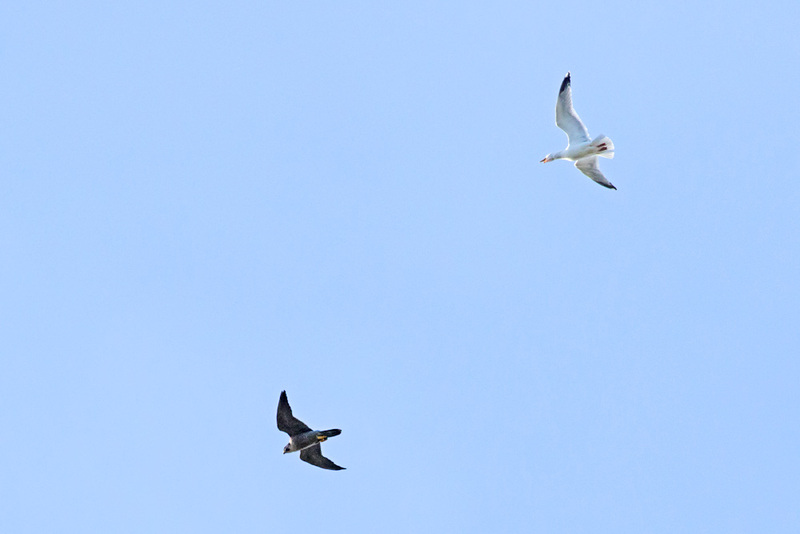 There were two of them, gliding high overhead while the gulls circled. 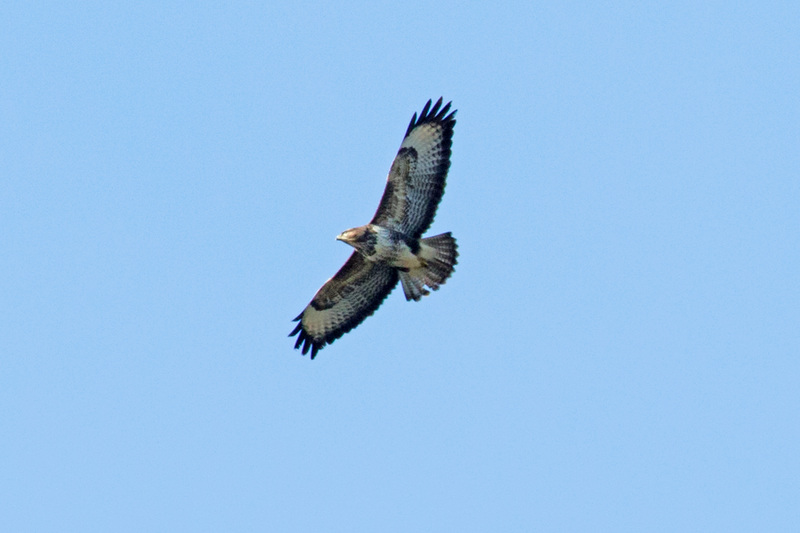 Again, a very basic shot; but if there are buzzards and sparrowhawks about I keep looking. 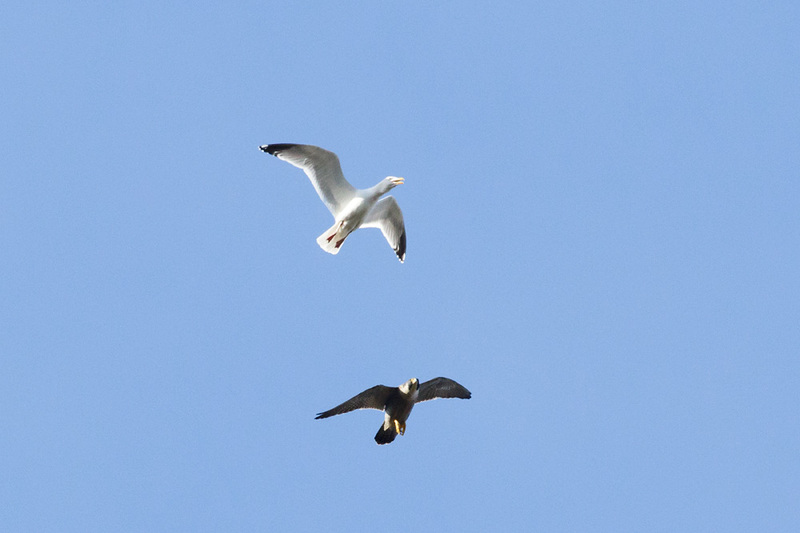 And sure enough, high among the gulls another bird appeared: a peregrine falcon (actually a pair). Being mobbed by a gull! On the home front Pretty is still visiting regularly, and we can hear other foxes nearby. This is a recent shot of her to close. Camera note: all bird photos taken with the Canon 7D Mark II and EF 100-400mm f/4.5-5.6L IS II USM lens. 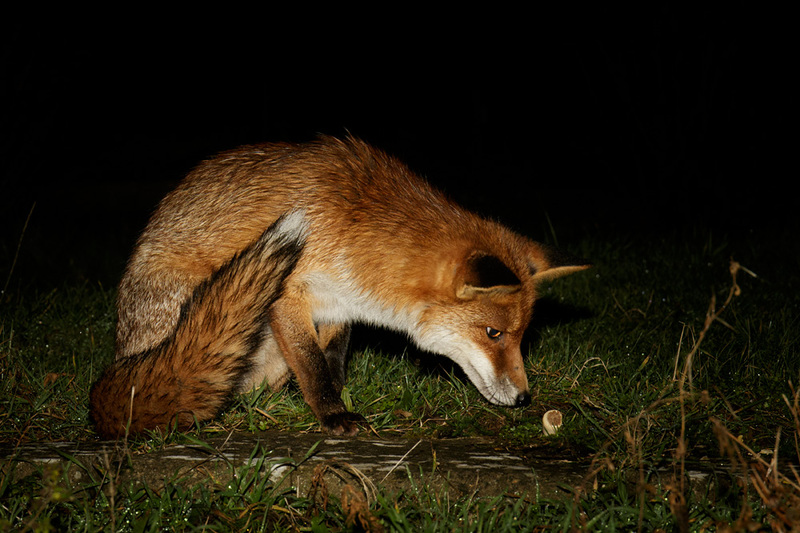 The fox photographed with the EF 24-70mm f/4L IS USM lens. 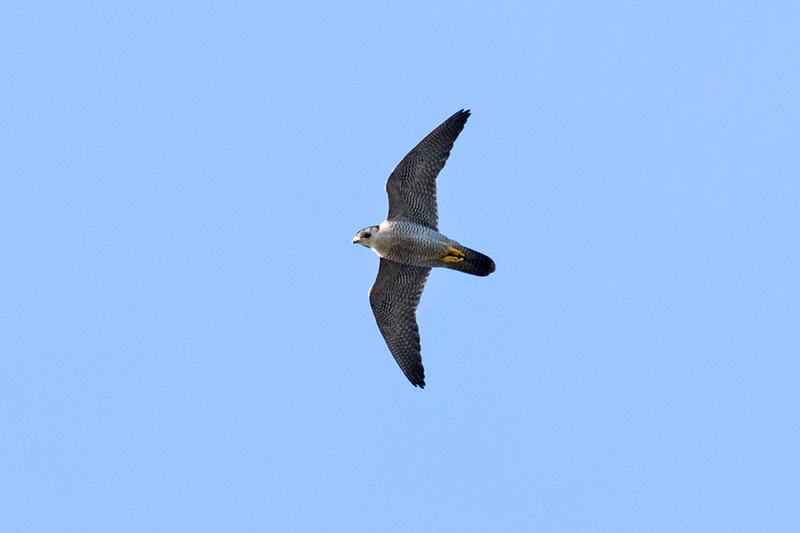 This entry was posted in Bird of Prey, Foxes, Wildlife and tagged Buzzard, fox, peregrine falcon, sparrowhawk. 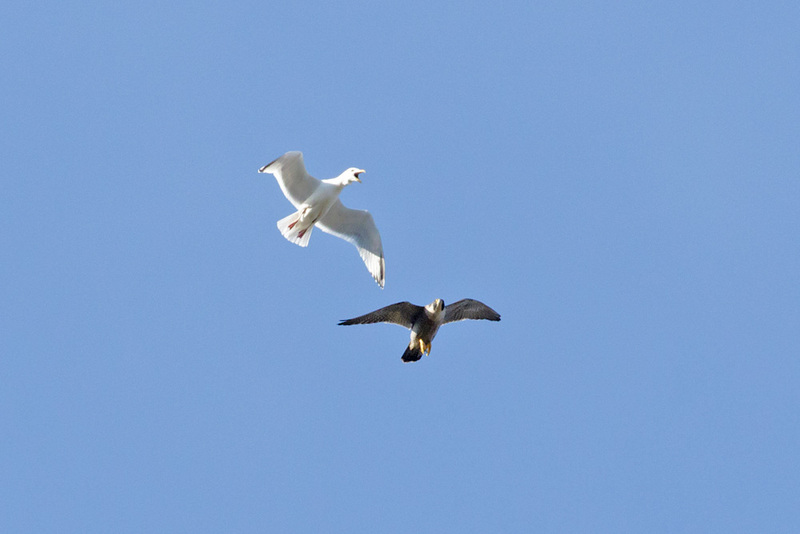 The buzzard and the sparrowhawk are superb shots, Paul … I imagine you had a bit of a crick in your neck after shooting them, especially after following up with the gulls. Lots of action, there! Pretty is still pretty … she looks wonderful!